Hyrbyair is the son of Marri tribal chief Nawab Khair Bakhsh Marri. His brother, Balach Marri, a reported leader of the Marxist-oriented and Marri-dominated Baloch Liberation Army (BLA), was killed by Pakistani security forces in 2007 (Balochistan Express, November 22, 2007). Hyrbyair is a former Balochistan MP (1997-2002) and was a minister in the provincial assembly for two of those years. He fled to the UK in 2002, but was arrested and charged with inciting terrorism in December 2007 (Dawn [Karachi], December 12). 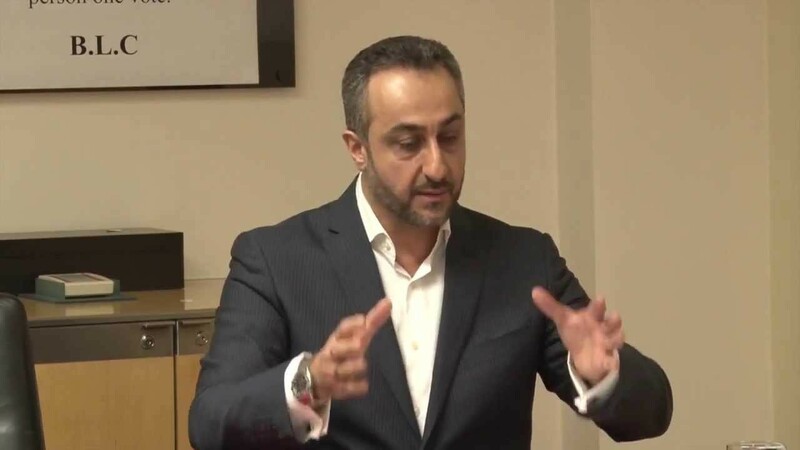 Supporters of Hyrbyair claim the arrest came at the request of former Pakistan president General Pervez Musharaff, who demanded action on Balochi nationalists living in exile in the UK as the price of further cooperation in the war on terrorism. An Islamabad daily reported that the new government contributed substantial amounts to Hyrbyair’s defense as part of a program of confidence-building measures with Baloch leaders. Hyrbyair was acquitted on three charges with no decision on a fourth in February 2009 (Crown Prosecution Service Press Statement, March 10). The development of the massive new Gwadar port in Balochistan is a major point of contention, with Hyrbyair claiming the port will benefit only Pakistan and not Balochistan. The nationalist leader says local leaders who opposed the development were kidnapped and killed by Pakistani intelligence agencies. Hyrbyair denies that the opposition to the port is being funded by Gulf states that will lose business to the modern facilities being built at Gwadar. The Urdu language interview came only a day after Hyrbyair and other exiled Baloch leaders rejected a proposal from Islamabad designed to end the long-standing insurgency in Balochistan. The offer called for a cessation in military activities, the release of political detainees and a payment of $1.4 billion in gas royalties over 12 years (Reuters, November 25). The “Rahe-i-Haqooq Balochistan” package included a ban on the construction of new military camps in Balochistan, though two existing camps would remain operational. Hyrbyair described the government’s proposal as “a mockery and a cruel joke” (The News [Islambad]. November 25). 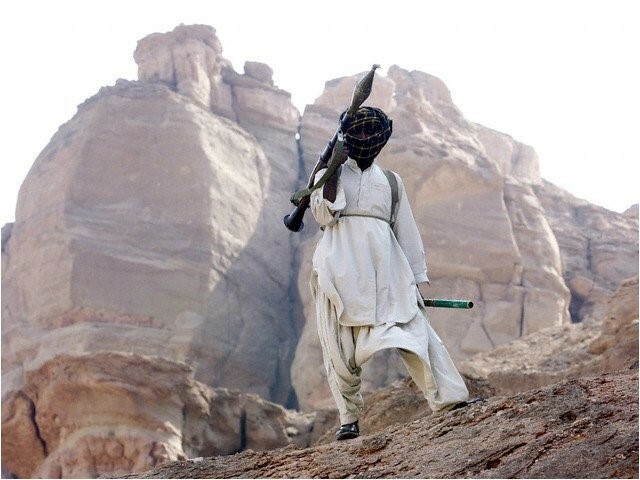 While global attention remains focused on Taliban activities in Pakistan’s northwest frontier, heavy fighting has broken out in southwest Pakistan’s Balochistan province, where well-armed nationalist insurgents are battling detachments of the locally-raised Frontier Corps. While sparsely populated, Pakistan’s biggest province is rich in minerals and energy resources, inspiring a number of rebel movements to fight what they view as uncompensated exploitation of the region by Pakistan’s central government. In the current fighting centered around Dera Bugti, insurgents belonging to the Baloch Liberation Army (BLA) and Baloch Republican Army (BRA) have blasted gas pipelines, brought down power pylons, attacked a gas plant with rockets, destroyed military vehicles with remote-controlled bombs and used explosives to heavily damage the wall of a Frontier Corps fort. Helicopters have been brought in to assist the Frontier Corps, which has been accused by the insurgents of killing civilians in rebel-held areas (Daily Times [Lahore], July 21; Dawn [Karachi], July 20, July 21; Balochwarna.com, July 24). A general strike organized by a number of Baloch nationalist groups was observed throughout much of Balochistan on July 25 in protest of the killings of women and children in government counter-attacks (Balochwarna.com, July 26). Government forces report destroying insurgent bases and seizing large caches of weapons at several hidden depots (Daily Times, July 22). The fighting follows the release of a number of imprisoned Balochi nationalists and a partial pullback of government forces from selected regions of Balochistan—not including Dera Bugti—by the new government in Islamabad. The Dera Bugti region is home to Pakistan’s largest natural gas fields and large parts of its gas distribution grid (see Terrorism Monitor, April 3). 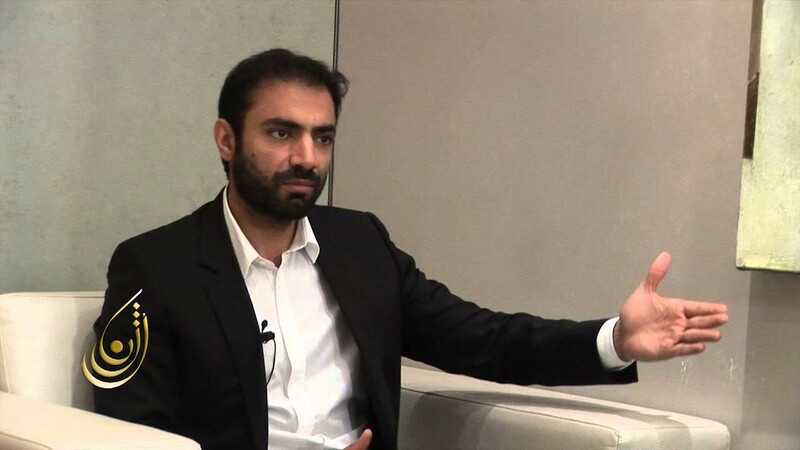 According to Bramadagh Bugti: “The [current] operation is being conducted to plunder the resources and to keep the Baloch nation backward. The rulers are destroying the Baloch nation for this purpose. We are fighting to defend our land and ourselves. There will be resistance if someone comes here to plunder our resources on the pretext of development” (BBC, July 22). Since the forcible annexation of the Baloch Khanate of Kalat by Pakistan in 1947, the Balochistan region has seen a succession of revolts against political centralization and resource exploitation. Balochistan is Pakistan’s largest province, but is sparsely populated with only six million people. A low-level insurgency in the last two years has seen a mixture of indiscriminate bombings and targeted attacks on the region’s energy and transportation infrastructure. The nationalist militants are divided into several factions, the largest of which is the Balochistan Liberation Army (BLA). The Dera Bugti and Kohlu regions are the centers of the insurgency and government counter-terrorism operations. The latest outrage was a June 12 terrorist bombing in the city of Quetta that killed five and wounded 17. Nearly all of the casualties were Balochis. The provincial governor suggested the involvement of “foreign hands” and vowed that he would not compromise with opponents of Pakistan’s “national integrity” (APP, June 12). In response to the attacks, helicopter gunships are again being deployed in the region, painful reminders of the havoc caused by these weapons on the civilian population during the bitterly fought 1973-1977 insurgency. Many of the region’s politicians are calling for their withdrawal. On June 15, 12 members of the BLA were arrested on charges of terrorism. They are alleged to have carried out a series of bombing and rocket attacks under the direction of Nawab Akbar Khan Bugti, an important chieftain (Daily Times, June 16). Jets and helicopter gunships followed up with attacks on armed tribesmen in the Kohlu region. Gunbattles between insurgents and security forces were also reported in the Dera Bugti region (Dawn, Karachi, June 15). Nawab Bugti claimed that the government attacks killed 17 civilians but no militants (Pajhwok Afghan News, June 14). The Karachi regime has hit back on the political front. An arrest warrant has been issued for the leader of the Balochistan National Party, Sardar Akhtar Khan Mengal, who is accused of kidnapping government intelligence agents. The BLA was declared a terrorist organization (under the 1997 Anti-Terrorism Act) on April 10. General Musharraf has denounced all talk of Baloch “rights” or “sovereignty” as “provocations” (PakTribune, May 23). There are also government fears that Balochistan is being used as a transit point for foreign militants on their way to join al-Qaeda or Taliban forces active in Pakistan’s northwest frontier. Four Turks and one Afghan were arrested on June 22, attempting to cross from Balochistan into the neighboring province of Waziristan, home of a fierce tribal/Islamist insurgency against Pakistani security forces. The five detainees are accused of ties to the Taliban and/or al-Qaeda terrorists (Pajhwok Afghan News, June 23). After their interrogation, another 11 Afghan nationals were arrested for “possible links” to “al-Qaeda sleeper cells” (Daily Times, June 24). The Baloch nationalist movement still suffers from tribal and personal enmities and has failed to present a united front. Although accusations have been made that al-Qaeda suspects are harbored in Balochistan, the region has never been known for religious extremism, unlike neighboring areas to the north. The Baloch “liberation movement” still retains a nationalist focus. The Musharraf government appears willing to discuss economic and development issues, but is unwilling to tolerate any discussion of separatist aspirations. Despite this, many local politicians are still eager to open a dialogue with the leading militant nationalists, rather than risk another debilitating civil conflict.